Two days ago, or maybe yesterday…. my across the hall neighbor who i sometimes used to like to kiss— insulted, by informing me that i had Peter Pan syndrome. Of all the awful names he has called me over the last 8 months, this was my favorite, because having Peter Pan syndrome seems like the sort of syndrome a girl like me should possess. Clearly jealous of my inability to grasp reality and be bogged down by mundane human details that in truth are not reality, but mere human illusions. So to him, i was stuck in a non-reality, but to me, he was sentenced and cemented into the horror of the 9-5 human death. Either way, I had Tinker Bell and a piece of paper, and all he had was……well something very different, something i didn’t want, no matter how safe or sane. Hahahaha what a great comment, thanks for the encouragement YAY! I love that; beautiful post. Me too! That line just got me!! Love it! sometimes we just love the questions then to wait for answers ! now, why would he call you awful names. i think you seem quite lovely. although he went wrong with saying you had peter pan syndrome; that is not an insult at all. it is quite the compliment. i remember, once upon a time, i took a quiz (because i have always liked those type of things), and my result was that i was alice, forever living in the red king’s dream. I agree with you, reality is what you make of it. And what better way to live your life than in that way! A couple of years back a good friend of mine told me that I was Peter Pan. Not meant as an insult– really more of a commnentary on my permanent state of mind– I think it is wonderful to maintain a sense of playfulness, adventure, energy and yes, vulnerability and innocence, that children seem to be able to tap into. Ha ha, isn’t that something? Pretty and I are huge Peter Pan syndrome practitioners. Everyone has the ability, but just like Wendy Darling, most loose the will to fly. Ha ha ha ha ha. i don’t see anything wrong with peter pan syndrome, as long as you don’t take it to michael jackson levels. We are indeed minorities. Love it. Thank you for the follow and i’l be back to have a look around. Would you like to become an author on my poetry site, you could start with your oldest first, read more here please. OK ,if you go for it, then go to your personal settings, i need your wordpress username and email, to send an invite. I agree–embrace it! Too many people often forget how amazing it is to be like a child. Oooh, 4-year-old, Peter Pan, or Tinkerbell… I will happily accept any of those. Someone is trying to hold these things against you like they are faults, but little do they know it is part of why you’re so awesome! Yes! Thank you so much, Coco, for choosing to follow my blog! Love what I see here and I will be back! I like your perspective! Thanks for stopping by my blog! hey, you can fly! stardust…. you just got me thinkin’! i enjoy your work very much. Even at 45.. I KNOW a little bit of Peter Pan keeps your spirit and your soul young! You should tell him a fairy dies with every corporate drone-y breath he takes. really, really good. Enjoyed reading this. The only contact with reality that is strictly necessary is the contact needed to disentangle oneself from it, in order to set oneself free… This is wonderful stuff. And thank you for taking a look at my page! Loving your post, so refreshing! Love your wit! “…9 – 5 human death.” Wonderfully put. Equally horrified by it! hahaha Equally horrified? lol what do you mean? To dream is to be human. We all need to be free as birds soaring high above the clouds rather than tied to the earth. [ Chuckles ] I found this post of yours to be rather enjoyable. You have a very unique style of writing! The idea of staying stuck in the non-reality that prevents me from being bogged down in the rubbish that stops me from living life as its to be lived appeals to my Peter Pan nature too. I like it! I love Disney too so that’s probably a good reason, no matter the connotation. Thanks for visiting me and come back soon! Happy Reading! This is one of the best writing sites I’ve ever seen! WOW. you are beyond kind, i can’t believe you would compliment me like that. thank you thank thank you. CHEERS Deb! I agree Deb. You might also want to visit Crisitan Mihai’s blog. A great source for writer’s. Thanks for the like and follow. I enjoy your point of view and style. Like Peter Pan, who didn’t want to grow up, follow your heart…life’s too short to march to someone else’s drumbeat or to waste your time on anyone who calls you awful names. Hey, thanks for checking out the WordSisters blog! I’m enjoying yurs, too. Did he actually called you like that? I enjoyed reading your blogs. Interesting writings. Very deep thoughts. Thank you for liking my blog too. Really appreciate it. Coco: Thanks for liking my blog post “Writing Exercise Contest.” I hope you’ll consider entering. I think the Peter Pan Syndrome is a great thing. Hang on to it as long as you can. Mine finally slipped away unnoticed somewhere in my 50s. Ah well. I guess one must grow up sooner or later. would you fancy contributing a short story? Go on….chinese burns otherwise! haha wow thank you. what do you mean that i already won? Goodness, you must be mg sister. I am in death throws with Peter Pan syndrome. But what a way to go! Parachute not opening might be the only way to top it. You have a rare talent. The rest of the small misunderstandings are immaterial. Grt reading. I saw a movie, “One Fine Day,” in which this accusation was flung into a writer’s (journalist) face and I have ever loved his retort: “You have a Captain Hook complex!” I still race shopping carts and play football with toilet paper despite the Mr. Wipples of the world telling my not to squeeze. Keep squeezing the marrow of life, my friend. If this was me, he totally would have meant my inability to grow up… and I would have probably considered it a compliment and kissed him. As long as you’re not Michael Jackson Peter Panish, it’s all good. The woe that is the human death of 9 to 5, I find he’s trapped and doesn’t even know maybe but you’re free to believe in fairies and fly. New to your blog and I think I might make a point to name it a lovely sofa of a blog. A place where I can sit back, get comfy and travel through people’s experiences. Anyways, if you’re a Peter Pan, I’m a Lost Boy and proud. I also suffer from a severe case of “peter panitis” Also, thanks for following my blog lady! 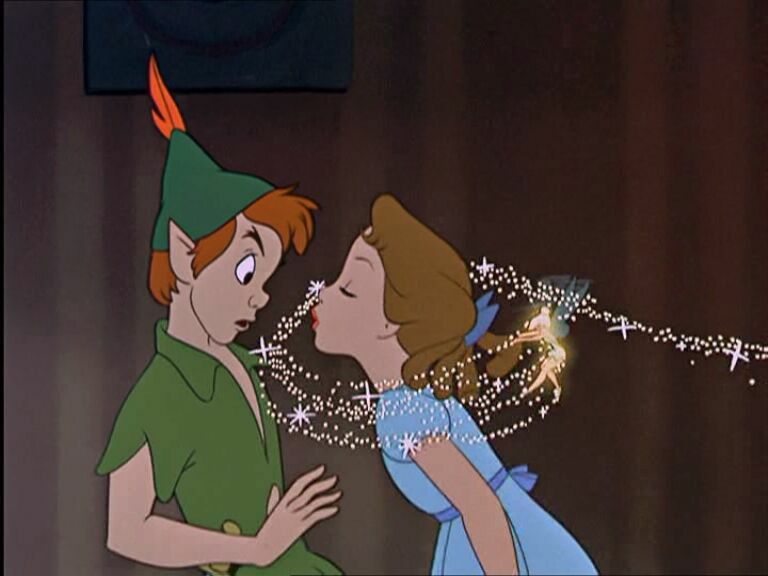 Accusing you of Peter Pan Syndrome is undoubtedly a veiled declaration of love. Poor guy. His heart is so broken. I love Peter Pan! I will never grow up! Never grow up, never grow up! Has he taken to calling you Wendy, Darling? Thanks, Coco, this was a fun post. Thank you for following, at last i have got round to following you. My father, whom I became less and less likely to kiss, hammered in Discipline! Reality! Even then, tender reed that I was, I wondered what would a dreamy Pisces care about those things, what could be done with them? And yet, many years later, I still feel their weight… Continue to be free! Go Coco J! Stay just as you are! I have been accused of this as well. Peter Pan is one of my heroes. I’m so glad every time I stop by, you can make me laugh. I love your blog! Thanks for checking out Sitting at the Bus Stop! Glad to have you! Phil Collins is one of my favorite people, not because of his music, but did you know he holds one of the largest collections of Alamo artifacts and Texana collections in the world? He’s in love with Texas, so that makes him ok in my book. Nice to meet ya! Wow, so happy that I found your blog! I admire the few posts I’ve seen so far; especially this one. You don’t need to know what he had- your tinkerbell and piece of paper will get you where you want to go, without any of the 9 to 5 “safe sanity,” because to the spirit, it is quite the opposite. jumping on the very crowded ( but of the same tribe) *TinkerBell* bandwagon. happily we’re all seemingly of the same tribe. love the post. 9-5 is not death, it just frequently feels like it. In my professional career, I have had two jobs that had strictly regimented hours (8:00-4:30 at one and 7:30-5:30 at the other). I lasted a year at the one and six months at the other. The regimentation of the working hours is inversely proportional to the sanity of the boss. You definitely got the better part of that deal. Sounds like all he got was a ticking clock in an alligator stomach..
Now that I think about it, I work a day job at a desk. Crap. I So Suffer From Peter Pan Syndrome!! Thank you for letting me find you!! Sounds like envy disguised as insult. Knock on his door early one morning before he leaves and tell him to play hooky and spend one day with you. Your invitation could be his salvation. Just letting you know you’ve been tagged. Go to http://unklehookd.wordpress.com/2012/06/16/now-yo-turn/ to get more info! Pssh to other people thinking they can tell you who to be or, what nerve, tell you who YOU are. And good to you for seeing the humor in it, as well as defending your point of view on life. Beautiful. Absolutley beautiful. Thanks for liking my post. I really appreciate it. What this culture calls an adult is actually something of an animated corpse, hence the popularity of gritty documentary films and novels about same. Neighbor boy appears to have issues. Hopefully they will not escalate to the point where a restraining order is needed. Think I’m living with that boy across the hall… or his brother! Great post. Thanks for ‘Liking’ and ‘Following’ me. Lov this. Don’t let anyone put you down or weigh you down. Love the way you turned it around. I live my life my way! i unhinged myself from a 9-5 and never look back. I love my reality. You’re a wonderful writer, keep it up darling! Peter Pan syndrome? So that’s what I’ve had all these years?! Eureka! Write a book before Dr. Phil nabs the idea! You wrote this on my birthday. I rather like that. Made me smile. Fairy tales themes have found their way into some of my writings as well. just be careful new friend, there are things that go bump in the night, and they be all man made. one mustn’t ignore the realities of others or we become susceptible to their treachery. Love this line! : “Of all the awful names he has called me over the last 8 months, this was my favorite.” It makes me picture a handwritten list, with this Peter Pan zinger squeezed in at the top. Fantastic! This is fantastic. I would see it as a compliment also. Great post. I definitely have PP syndrome. I’m travelling the world. Again. At 32. In Barbados at the mo with some gorgeous 26 year old boy paying for my flight extension before I head to South America. Who wants to grow up anyway? Thanks for following my blog. I love Peter Pan. While there is a part of me trying to be more grown up right now, there is also a part of me that will be young at heart forever. I have always considered myself a bit of Wendy Darling in that respect. I don’t get the author’s point. Peter Pan syndrome is an insult ??? Jeez, that’s mild compared to what my 1st wife used to call me ! Oh you are such a lovely writer! This is a great story. “Tinkerbell and a piece of paper….” love it! You are an awful writer. I refuse to grow up too. Thanks for visiting my blog. This is great. I love how much your personality comes through in such a short little piece! Thanks so much for your “liking” my post on Down Under in Amed and following my blog. I hope you enjoy reading about my adventures. I’ll keep up with yours. It seems like the world is structured to grind the Peter Pan out of you. Best to keep a pouch of fairy dust on you at all times. Or a good book will probably do in a pinch. love this piece! nothing like a bit of Peter Pan to make some sense out of this world of ours! I can relate. Some things we buy into are illusions…what a bummer. This is random, but have you ever watched Seinfeld? Ah have I found another Seinfeld fan? What a treat! That one part in particular about being “bogged down by mundane human details” reminded me of Seinfeld, because that’s what it’s about haha. All they do is obsess over the details of life and it’s hilarious. I love catching Seinfeld moments in my life. hahaha Yes I love that show!! Great connection. I have Peter Pan Syndrome too, glad to know a kindred spirit. Never grow up. You’re the grain of sand that jumps up’n’down on the beach – trash that 9 – 5 camp! I think that’s a HUGE compliment…. It’s better to be free than weighed down by the illusion…. You are currently reading the boy across the hall at Coco J. Ginger Says.